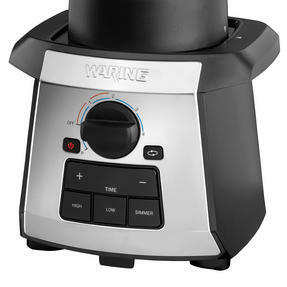 Make deliciously fresh soup in just 20 minutes with this Waring soup maker, featuring an adjustable timer and stir function which mixes ingredients as they are cooked. Select low, high or simmer from the heat settings for effortless control and use the sauté function to brown onions and garlic, or blend cold ingredients to make a refreshing smoothie. 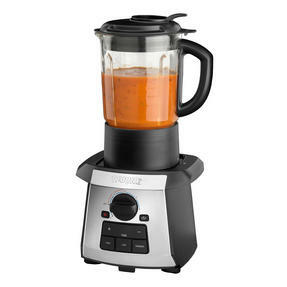 Measuring 21l x 17w x 42h cm, the powerful blades and four speed settings will blend to your perfect consistency, then serve straight from the jug. 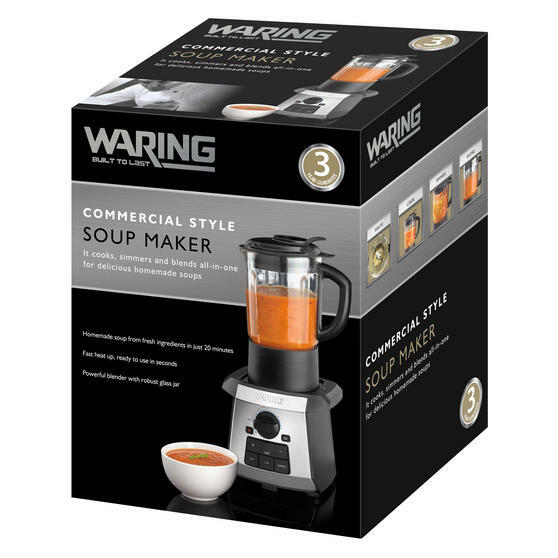 Simply blend, cook, simmer or sauté all of your favourite ingredients to make delicious soup with this all-in-one Waring soup maker. 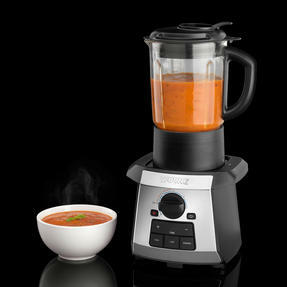 Brilliantly easy to use with a countdown timer, the soup maker is capable of cooking freshly prepared soup in as little as 20 minutes. Featuring a 1000 W non-stick cooking plate which heats up in seconds, just choose from the three heat settings and four speed settings. 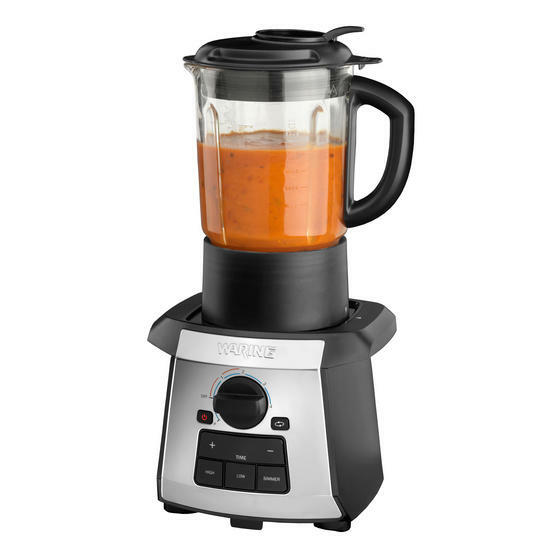 Use it as a traditional blender to make tasty smoothies, purées and even to crush ice, with 1.75 litre capacity for cold ingredients. 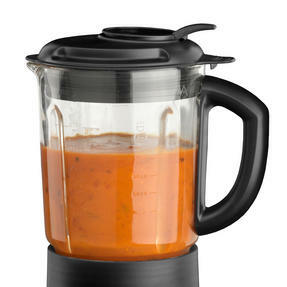 The glass jug has millilitre markers, a handle so you can serve straight away and a triple seal lid for total confidence as you blend.